Last Friday, May 19th the new RIPCI was approved in the council of ministers and we are just waiting for its publication in the BOE. – It protects the smoke evacuation routes saving lives. – It protects the properties, lowering the temperature of the layer of smoke and avoiding the flashover or the generalized sudden combustion. – It facilitates the access to the extinction services to extinguish the fire both by the absence of smoke in the evacuation routes and by the prompt visibility of the fire focus. – Check the operation of the components of the Smoke Evacuation System by activating them manually. -Cleaning of components and system elements. – Check the operation of the Smoke Evacuation System in its activation and rest positions, including its response to the manual and automatic activation signals and checking that the response time is within the design parameters. – If the system has smoke control barriers, check that the head, edge and gasket spacings (according to UNE-EN 12101-1) do not exceed the values ​​indicated by the manufacturer. – Checking the correct availability of the main and auxiliary power supply. Lubrication of the components and elements of the system. – Alarm functioning verification, fault signals and its interaction with fire detection system. 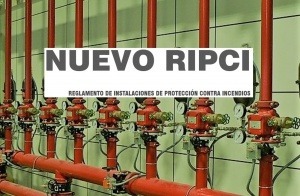 This is a great new, which we have been waiting for a long time, since in the absence of mandatory maintenance of these primordial systems in firefighting, many companies (not aware of the importance of the Smoke Evacuation System), choose to do so, leaving an obsolete system due to a lack of inspection and maintenance. Even often the system was rendered useless so that in case of a false fire alarm, the deck exudes could not open and cause some damage because of rain.